Whether you are a retailer, wholesaler, contractor, or restaurateur, we can tailor a package to meet your specific needs and requirements. Some of our Commercial insurance coverage includes: Commercial Auto, Workers Comp, Business Owners Packages, and General Liability. We are also proactive in identifying any factors that may increase your premiums or change your risk, and provide consulting and risk management options to protect your business. 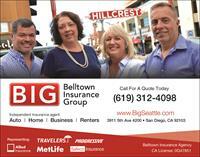 Let us help you cut your insurance cost! 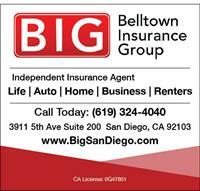 Just give us a quick call today at (619) 324-4040 with the help of our dedicated business partners; we conveniently offer an entire solution for all your personal or business insurance needs.